Since last Friday I had not been feeling too bad for a few days, Dot had been poorly for about a week but was getting better, then I think I got got what Dot had, a sort of ear nose and throat infection. So I am cabined up again. 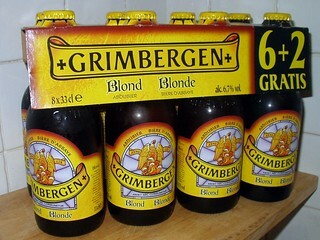 I did manage to buy some new beers during this period but have not tried any yet. 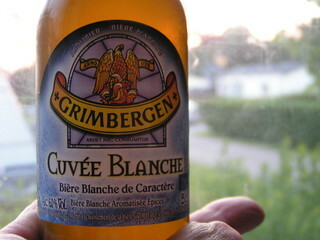 So here is an old review of a favorite, in fact I think I will do all their beers I have had. 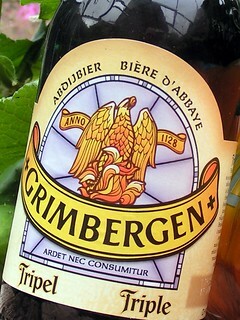 6.7%, golden colour with a thin head, sweet aroma and fruty malty taste, a really nice abbey beer, my favorite Grimbergen, even in cans. 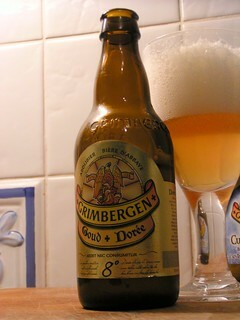 6.0% cloudy yellowy white with a thin head, sweet citrus aroma, tastes a lot like Hoegaarden but better. 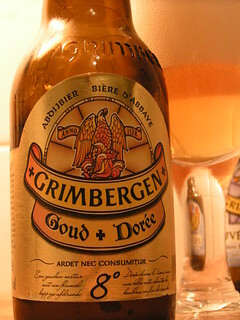 9.0% golden colour with a thin head, sweet malt aroma and fruity malty taste, very much like a strong version of Grimbergen Blond. 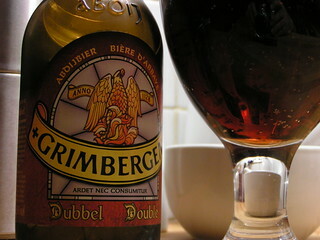 6.5% very deep amber/red colour with a good head, sweet caramely malt aroma but with a hint of citric acid, sweet malty fruity taste with a slight bitterness, very tasty and warming. 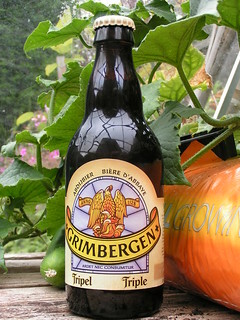 8.0%, light gold colour with a good head, smelt and tasted much like a pilsner to me, I didn't like it as much as other Grimbergen's. I changed the review of this beer and removed it from the "Beer I Would Not Buy Again" group, when I had one of these after two truly dreadful beers and it is not that bad.